Do most of your sales demos close deals or close doors? Hopefully it’s the former, but either way, there’s always room for improvement. That’s why we put together this list of 14 proven tips for sales demos that convert more prospects into customers. We want to help you deliver impactful sales or product demos that allow you to close more deals and grow your company. 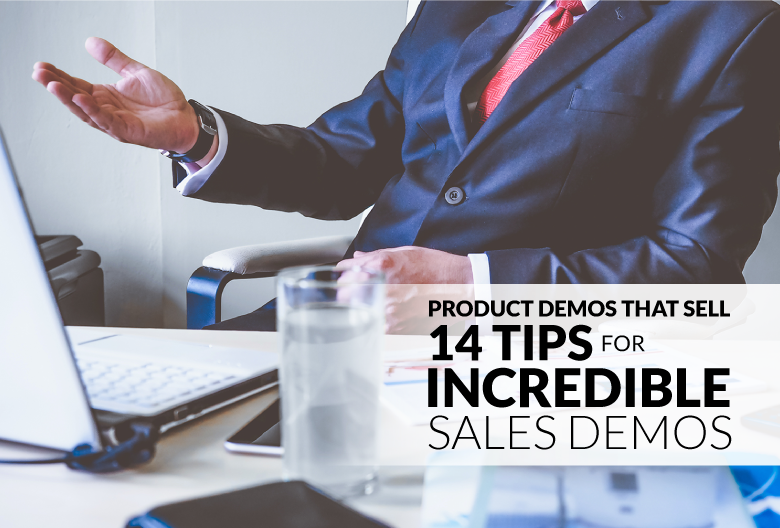 So whether your demos are already pretty good or still need some work, try out these tips to make your demos amazing and take your sales to the next level. Going into a sales demo blind is good way to try your job on hard mode – but it’s not a great way to make a sale. Instead, get as much information as you can about the person or group you’ll be presenting to before you step foot in their office. The most vital information to find out ahead of time includes: their full name, job title, department, industry, and company size. Use this information to determine what challenges their department faces and how you can help solve them. The more details you know about your target, the better you can tailor your demo to speak to them as an individual. A generic sales pitch won’t stir up an emotional response. It’s both forgettable and slightly rude, since it shows you didn’t care enough to conduct research and customize your slideshow to the prospect’s company. You need to engage your prospects and appeal directly to their interests, wants, and needs. For example, if you’re using a powerpoint presentation, you can feature the target’s company in some of your slides and insert the prospect themselves into potential scenarios that demonstrate how the product works. 3. Don’t Demo Every. Single. Feature. It’s easy to get carried away when you’re eager to explain how great your product is. But your prospect doesn’t need to hear every detail of every feature. Not only will you bore them with an overly long presentation, but they’re more likely to forget the relevant points if they’re drowned out with information the prospect doesn’t care about. Rather than listing the various features of your product, focus on communicating the unique selling points (USPs) in a language your prospects can understand. Reinforce the USPs that appeal directly to your audience and explain not just what they are, but how they solve a problem. If possible, draw from real customer experiences to tell a story that shows how your product offers a solution. This allows you to insert customer testimonials and a memorable narrative, rather than just a bunch of statistics. Continuing with our “show don’t tell” theme, you can create a more interesting demo with eye-catching visuals. Not only do people process visuals more quickly than text, but images also leave a longer lasting impression. Most people only remember 10% of information they hear after three days. But present that same information along with a relevant image and your prospects will be able to recall 65% of it after three days. For example, you can include relevant visual content in your slides or layer important information on top of a color-contrasted image. Of course you want to practice what to say. The whole purpose of researching your audience and personalizing your demo is so you can deliver a customized presentation. No one wants to listen to a sales rep rattle on without direction. Not only does rehearsing build your confidence, but it guarantees that you know your material well enough to accurately gage the length of your demo. Once you know what you need to say and how long it will take to say it, then you can stick within a reasonable timeframe. Show your prospect that you respect their schedule by arriving slightly early and finishing on time. Just because you’re well-rehearsed doesn’t mean your personality can’t shine through. 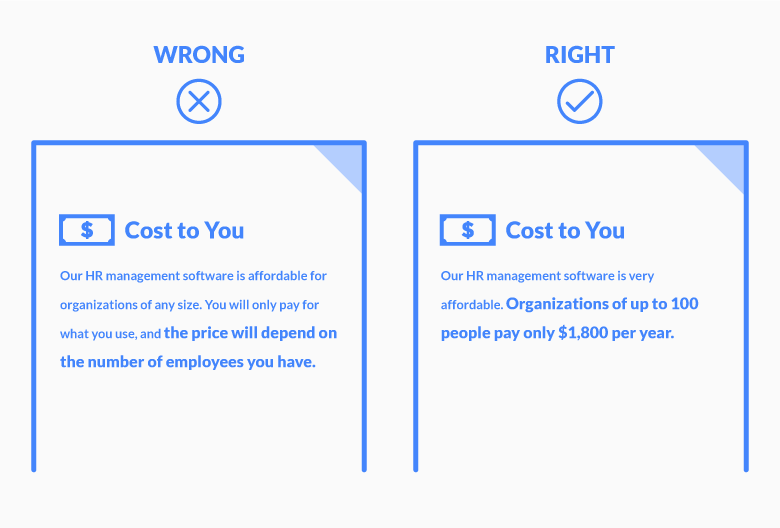 Remember, you’re not just doing a demo, you’re delivering an experience. Establishing a connection with your prospect is just as important as explaining the USPs. The better you know the product and how to address common objections, the more successfully you can address any objections or questions. Armed with knowledge and confidence, you can deliver a demo that feels polished yet personal. Audience participation should always be welcomed! Don’t view questions as a challenge to overcome, view them as an opportunity to open a dialogue with your customers. If they don’t have many questions or comments, prepare some questions of your own to engage your prospect and keep them thinking about how your product would fit into their life. It’s OK not to have all the answers! In fact, it’s better to admit not knowing how to properly answer a question than to fumble your way through an unhelpful answer. If you’re asked a read head-scratcher that you can’t or don’t know how to answer, simply respond: "That's an interesting question. I have an idea of what the answer will be, but I'm not 100% certain. Let me write your question down so I can follow up with you in a day or two about this." Not only does this prevent you from providing an inaccurate response or sounding arrogant, it also gives you a valid excuse to follow-up afterwards. If your demo involves any sort of technology, make sure all of it is up and running before meeting with a potential client. The last thing you need is your beautiful demo to get derailed by a rogue laptop or malfunctioning equipment. You should also have a contingency plan to fall back on if your computer or slideshow don’t cooperate. For example, if you’re planning to use powerpoint, bring along some print materials that you can show instead if the presentation doesn’t load. If you’re trying to play a video but your connection fails, have the major points written down so you can walk the client through what the video was going to explain. 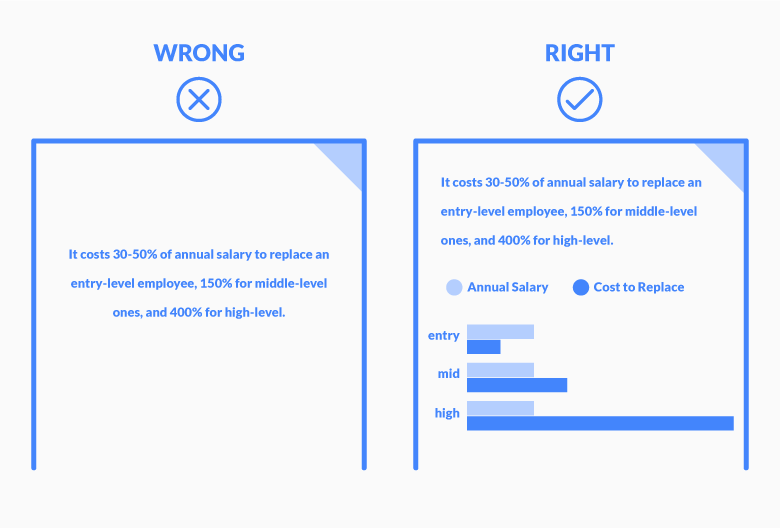 Even if you double check that your presentation is perfect and every detail is accounted for, sometimes things just don’t go as planned. Technical difficulties, random pop-ups, missing information – a confident sales rep should take it all in stride. Like any good performance, your sales demo should have a clear beginning, middle, and end. This keeps you on focus and makes it easy for your audience to follow along. Start by introducing what you’re selling and provide an overview of what you’re going to cover. Deliver the most important information (namely, how your product solves the prospect’s problem) and then lead into a conclusion that reiterates key takeaways you want your prospects to remember. Make your conclusion actionable by clearly defining the next steps for your prospect. This signals that the presentation is complete, leaves the prospect with a strong final impression, and guides them towards taking whatever action is necessary to move the deal forward. 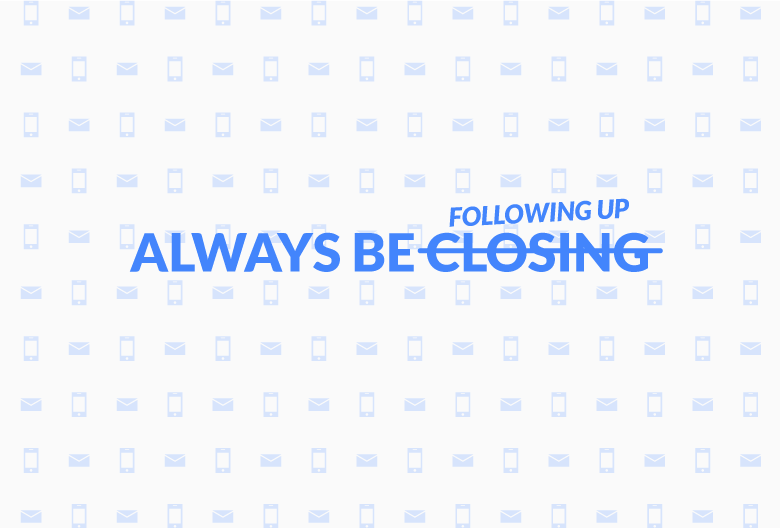 They say you should always be closing, but in most cases, you need to follow-up before you can close. Don’t sit back and wait by the phone after your demo is over; make the effort to reach out again, remind them what you have to offer, and reiterate the what the next steps might be. For example, you could send over an email with extra information that relates to a question they asked during the demo. This is a win-win for you and your prospect: you genuinely want to help them in their decision-making process and this follow-up opens the door to further conversation. By the way, if you didn’t catch our post on sales statistics every sales rep needs to know, consider that most sales require five follow-ups to close! Create a successful cold email campaign by crafting the right subject line, message, offer, and follow up sequence. This free guide will show you how. Here’s to More Effective Sales Demos! Hopefully you’ll have a chance try out these tips in the near future so you can see how well they work for yourself. Bookmark this list if you want to refer back to it when preparing for your next sales or product demo – and don’t forget to share it with your team! Have other tips you think we should add? Feel free to shoot me a message.